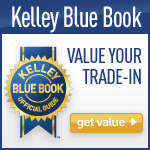 Mercedes-Benz Certified, GREAT MILES 35,745! FUEL EFFICIENT 32 MPG Hwy/24 MPG City! 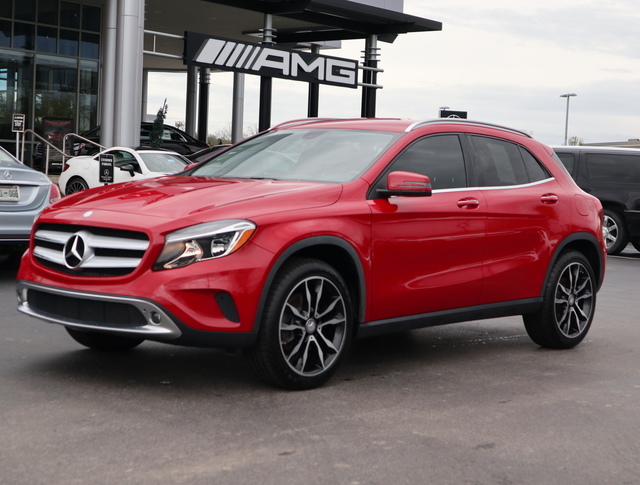 GLA 250 trim, Jupiter Red exterior and Black interior. Edmunds.com explains The GLA's relatively tight turning circle of 36 feet proves well-suited to the cut and thrust of urban driving., Serviced here, Non-Smoker vehicle. CLICK ME! 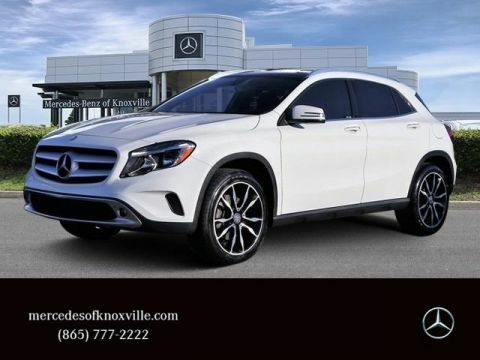 Full-Time 4MATIC® All-Wheel Drive, Power Liftgate, Turbocharged, Onboard Communications System, Smart Device Integration Rear Spoiler, Remote Trunk Release, Child Safety Locks, Steering Wheel Controls, Electronic Stability Control. 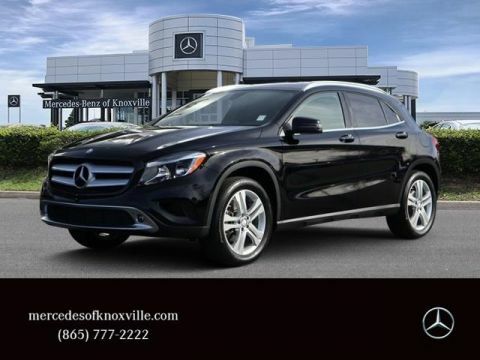 PREMIUM PACKAGE Dual Zone Climate Control, Garage Door Opener, Compass, Heated Front Seats, iPod/MP3 Media Interface, SIRIUSXM Satellite Radio, Auto-Dimming Mirrors, harman/kardon® Premium Sound System, KEYLESS GO®, BLIND SPOT ASSIST, WHEELS: 19 5-SPOKE ALLOY All Season Tires. 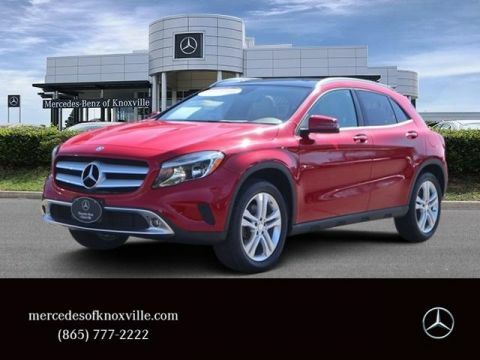 Mercedes-Benz GLA 250 with Jupiter Red exterior and Black interior features a 4 Cylinder Engine with 208 HP at 5500 RPM*. Serviced here, Non-Smoker vehicle.